Mary Christianson has practiced Taoist Internal Arts for 35+ years. Mary Christianson with Master Bruce Frantzis. Still image from Wu Style Tai Chi Short Form instructional video, 1989. Mary Christianson and Master B.P. Chan demonstrate Bagua applications at the Tai Chi Farm in Warwick, NY, mid-1980’s. 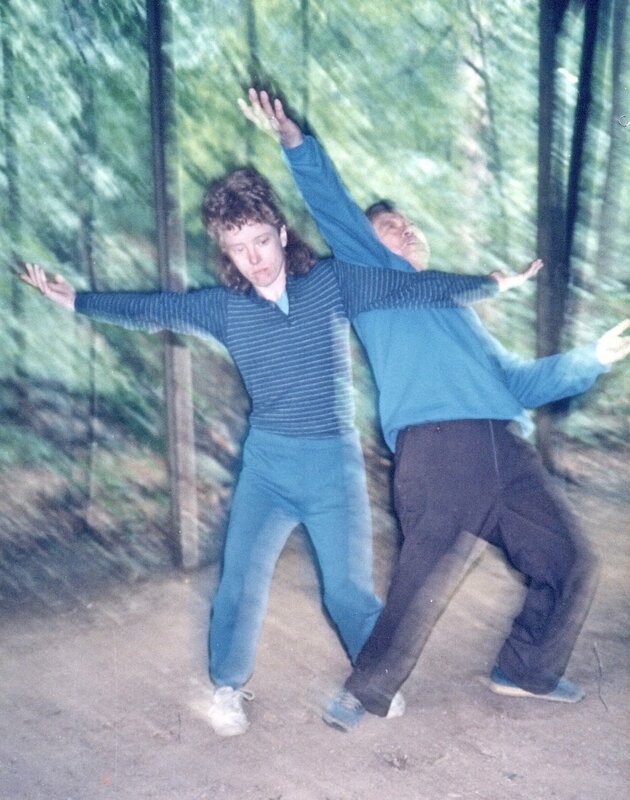 Mary Christianson and Master B.P Chan demonstrate Bagua applications at the Tai Chi Farm, mid-1980’s. Mary Christianson (seated) with Women’s Self-Defense workshop students at Brookline Tai Chi. Bagua Zhang practice at the beach. Mary Christianson, 1985. Masters Bruce Frantzis and B.P. Chan at the Tai Chi Farm, early 1990’s..
Mary Christianson and Susan Rabinowitz, founder of the Taoist Arts Center in NYC, celebrate Chinese New Year in Li Shan, Taiwan, 1985.